If you are a person whose family loves vacation, so much so that you do it regularly, there is actually another option for you. And this option is not so difficult to understand since the sales person will be the one to make you the offer. In fact, he will do and offer you something that you cannot decline. He will give you a three-day or a week-long free vacation. Would you decline the offer? You will not! And there is no way you can miss this opportunity. You have been working hard enough to save for the yearly vacation, and now, this is it—it is free! And is it true? It is. Many real estate agents these days would do this trick, this kind of marketing. You enjoy a free vacation, which you been longing for too long, but at the same time, you will be going to attend to a timeshare presentation. You may also see freelance developer contract template. So what is a timeshare? How does it differ from a resort vacation or hotel vacation? What are the cons and pros of a timeshare? Who is it for? In this article, we try to look at some concepts of this newly evolved type of real estate selling. Timeshare is just a recent innovation, and is it really attracting vacationers? Or is it just another kind of real estate trickery? You may also see student academic contract template. Timeshare is a kind of divided ownership of a property or use of rights. These properties are usually vacation condominiums rather than a house and lot, or they may call it vacation ownership resort. You may also see artist performance contract template. It is a new kind of business in the world of real estate marketing. Instead of buying a real estate or a property, in a timeshare, you only buy only a portion of the property—a tiny tiny portion of it. This is different from LLC or a 50/50 agreement, in that there are only few owners in the property. 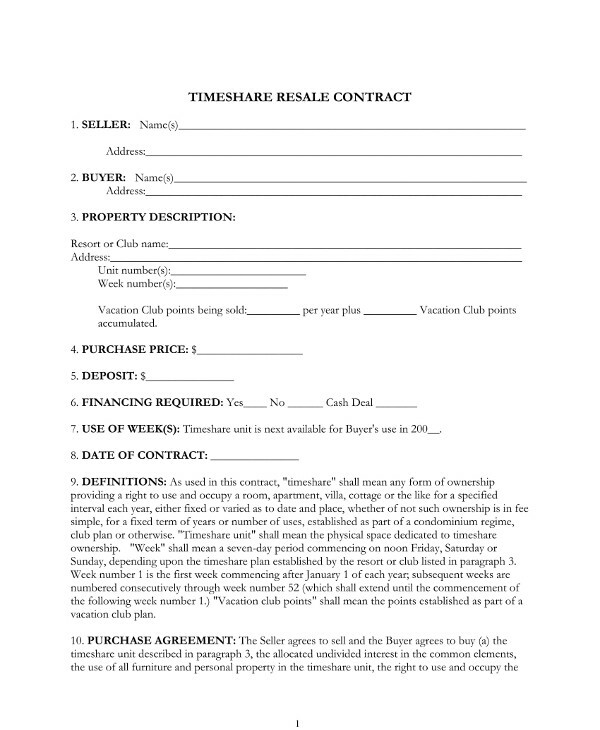 In a timeshare, you own a portion of the property in a given period of time, say a week long or a month long. You may also check out here student attendance contract template. The one thing that a timeshare is usually compared to is the hotel rental accommodation. Real estate agents selling timeshare properties often take the weakness of hotel accommodation and make it their strength. So what is the weakness of renting a hotel? It is not yours, they say. And in a timeshare property, is the property really yours? Depends, if it is a deeded timeshare, there is a title in it. If not, then it is as good as a reserved hotel. 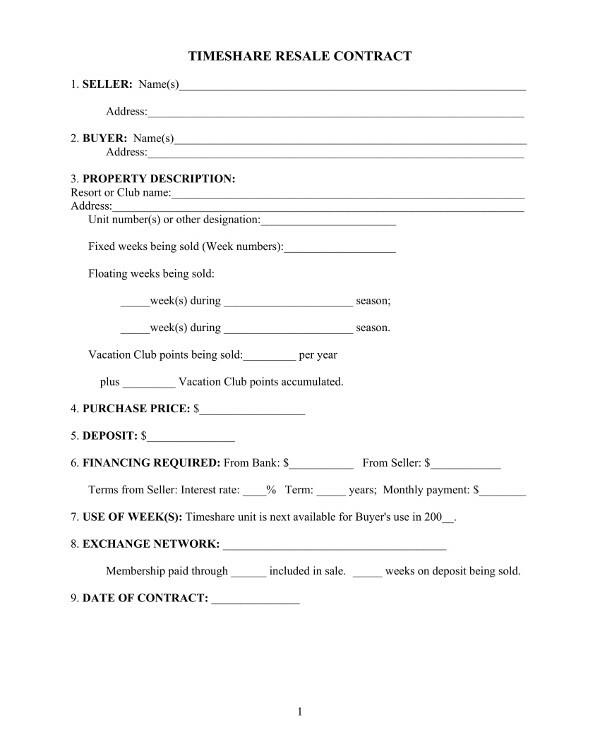 You may also see business manager contract template. An authentic timeshare should have a deed or a title. If it has none, if it is a non-deeded timeshare, then it is as good as a vacation club. What is in a vacation club? In a vacation club, members get to enjoy all the facilities of the vacation hotel or condo, but they really do not own it. 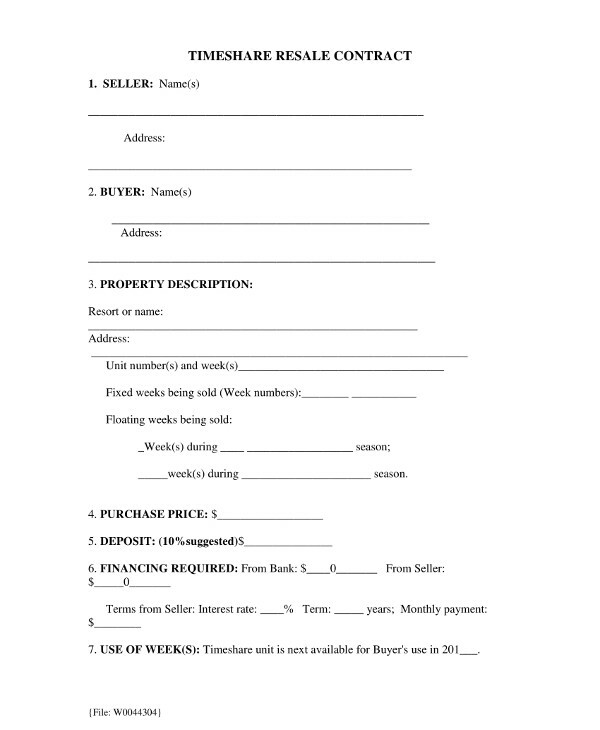 You may also check out here moving company contract template. Timeshare is not an alternative for a hotel or a condo. It does not replace a hotel because no one actually lives in a hotel, unless he is that super rich, or the owner of the hotel. Neither is it a replacement for a condo, because you do not stay in a timeshare every day. You only get to enjoy it once every year, for a week long or two. 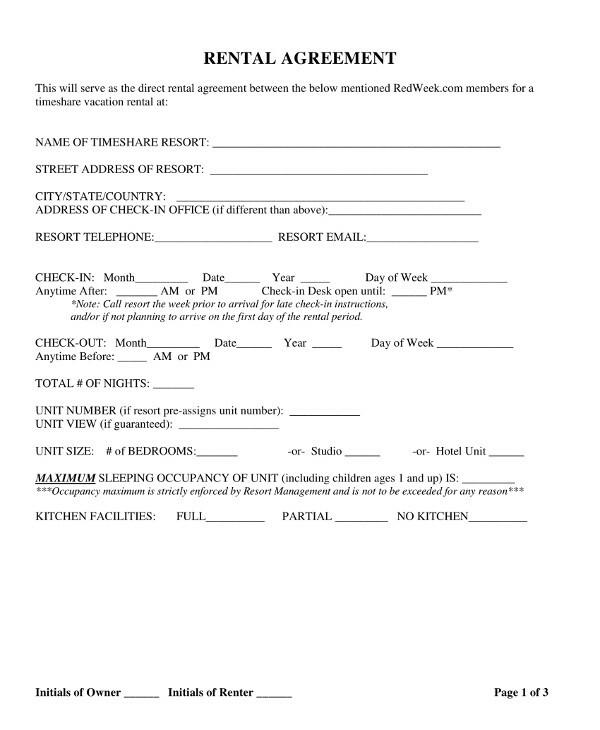 You may also see electrical contract template examples. The nature of how timeshare operates is to provide vacation accommodation for people who do yearly vacations. For some, it is a poor investment. If you happen to be doing yearly vacation, if it has become your nature to be doing vacations every year, then, a timeshare may suit you. You can maximize the ownership of it because you will not be staying it for the whole year round, but at the same time, when you need it, you will have it just like you have a hotel accommodation. You may also see examples of employment contract templates. One has to be careful when getting a timeshare property because it is not like plainly buying a property. This can be understood when trying to identify the two kinds of timeshare that are being offered these days. There used to be only the traditional timeshare, which is the deeded timeshare. But eventually, as real estate marketing evolved, we have what we now called the non-deeded timeshare. So what are the differences between the two? Which one would you prefer? What makes one more attractive than the other? 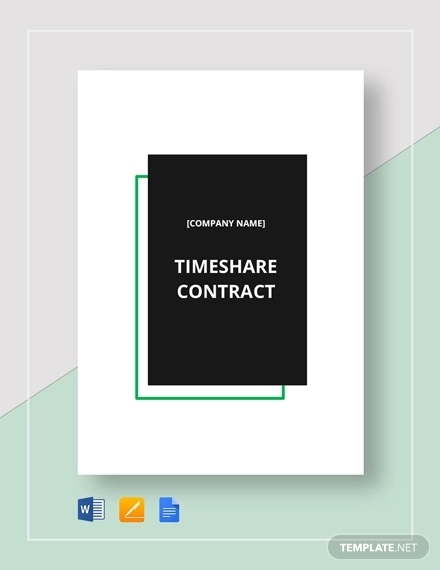 You may also see essential contract templates for the freelance designer. Can You Sell a Timeshare? Not all timeshare ownership can be sold. If you are getting a timeshare and you have plans in mind that you might sell it, or lease it, then you should consider a deeded timeshare. In a deeded timeshare, owners have the rights to do something with their timeshare whether to sell it, lease it, or will it to your children. But if that is not part of your considerations, you may just opt for a non-deeded timeshare. That will make it less expensive. But, of course, you may have to compromise other things, not just the one we mentioned about your rights to sell, lease, or will. One of it is that you will have no legal document of its ownership. So it is like having a reservation in a hotel. It is reserved for you, but there is nothing for you to show that something is yours, legally speaking. You may also see managed services contract examples. Can Timeshare Be Used as Hypothecation or Collateral? 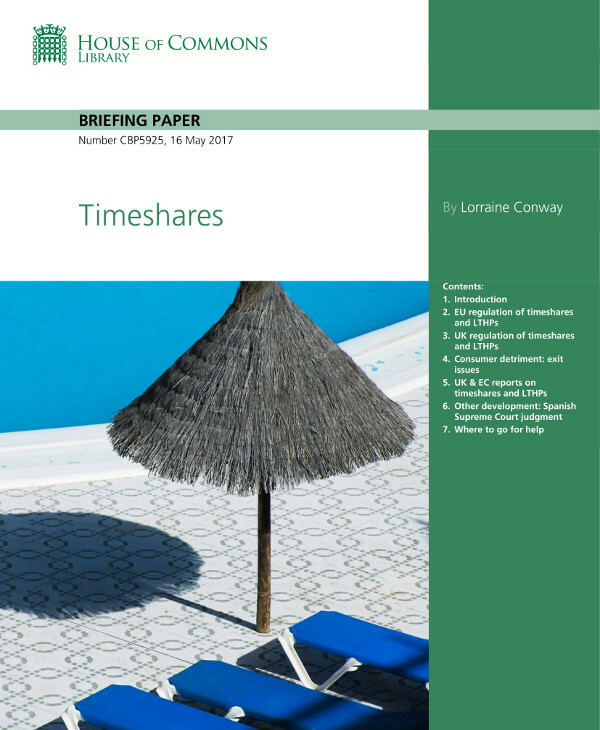 Earlier we mentioned two kinds of timeshares, and it seems only the deeded timeshare is practically valuable. But even so, business institutions these days do not really see timeshare as marketable. It could be because of the negative speculations about it. One it them is the scam, the other is the too much aggressiveness of the sales agent pushing you to get one. 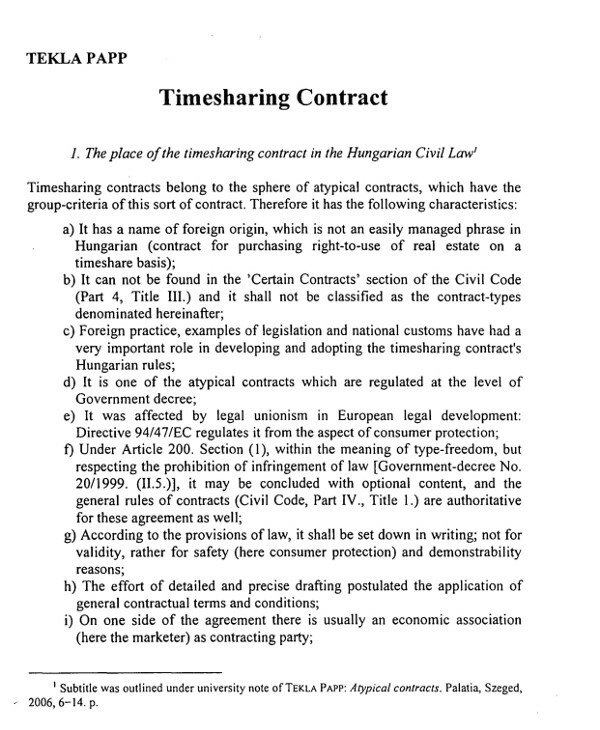 You may also see business management contract examples. If hypothecation is in your mind when getting a timeshare, that may not work. You would rather bet on an expensive fancy watch than a timeshare. One of the reasons for the cause of timeshare’s depreciation is the number of scam cases that inflict either the owners or the one inquiring. There is a good reason why people go into timeshare ownership. In the states, there are like 9 million timeshare owners already. And there are more than 1500 developers. But just like any kind of marketing, not all timeshare selling is legal. Some of it has been used as means to defraud either the owners and people still deciding if they should get one. A timeshare is unlike the house of your grand grandparents wherein the older it gets, the more valuable it becomes. A timeshare is just like buying a new model of phones or cars. You may also see massage therapy contract examples. They do not increase in value. If you own a timeshare, the most likely reason you want to sell it is you are not making any use of it as you did when you were still young, and always looking for a vacation. But there are many other reasons out there for not having the need to have a timeshare. Let us just say you are not using it as often as you did in the past years. No, you want to sell it. But because it has a low resell value, you are having difficulty selling it. And the best you could do is post it online, post it anywhere. And then the magic happens. A guy, he may be using a company title with his name, will call you saying he has a buyer for your timeshare unit. And suddenly you are elicited and had to answer, “Of course the unit is for sale.” You may also see behavior change contract examples. Always bear in mind that in a timeshare, there are fees other than the timeshare unit, these are the maintenance fees, the tax fees, utilities fees. These are the fees that a scammer may want to get. So while having a transaction with a caller, he will outrightly say to you that he has found a buyer for the unit and that he just needs to finalize some documentation. It may sound authentic as he may ask a commission fee for the job of finding a buyer. And you are pleased to hear that he is asking for just very minimal charge. You may also see contract worker contract examples. Basically, that is how a resale scam works in a timeshare. But that scheme can also be used to prospective timeshare buyers also. You may also see janitorial service contract examples. A broker may offer a timeshare unit to prospective buyers. When you decide, you will be asked to pay for these extra fees: association fees, maintenance fees, tax fees, utilities fees, commission fees. It works the same manner. We all have preferences when choosing what and where to stay either for vacation or for any accommodation. But whatever you choose, it will always come with the bad and good stuff in it. The timeshare is one of these. One of the pros of a timeshare is that they are oriented toward vacationists. Unlike in a hotel where it may not focus too much on vacationing, and if it does, it will make it even more expensive, a timeshare will have those benefits that you normally would only get from a luxury hotel. You may also see contract examples. There are many cons of buying a timeshare. And there may not be a need to explain it here. If you check on YouTube or the Internet, you will see that 90 percent about timeshare is about how one should avoid it. But there are still people getting timeshare properties. At the most bottom of this article, you can read through some of its weaknesses under the complexities. 1. Aggressive and Intimidating Sellers. Because there are too many people involved in the transaction, it is easy for a scammer to ride on the scene, and once he gets what he wants, he can just easily get lost. The victims, mentioned earlier, are either the owners planning to sell their unit, or the prospective clients who may be interested in getting a unit. The paying process is very complicated. The whole payment can be divided into many terms. And the down payment is divided into many terms. It may look small, but it isn’t. Everything is so complicated. And it may appear as if you have paid nothing, which is the trap of the whole scheme. But in truth, you have actually paid more. You may also see marketing contract examples. Timeshare is one of the complicated forms in the world of real estate business. If you want to have a house, why don’t you just buy a house? If you want to go on vacation, just book on vacation hotel. If you insist on getting a luxurious vacation hotel, then save a lot to get a luxurious hotel. That is how simple it is. You may also see employment contract examples. The fact that it is owned by many people, that itself tells something of its nature. If there are too many owning the property, does it not make it some kind of an organized rent? It is like renting a property, but it is just too organized, to managed, that you know who are the other renters, you know when it is your turn to occupy. You may also see business contract samples.